Damn. I meant to mention these a week or two ago, but I forgot. 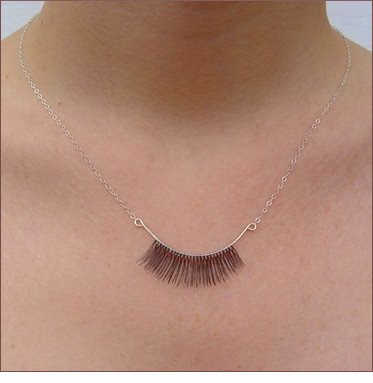 These eyelash necklaces are totally nuts in a surreal, vaguely Dali-esque fashion, but are also pretty and delicate. Know what else they are? Totally DIYable. And think of all the nifty variations you could make by using different kinds of funky eyelashes. Ooh, project!